The best excuse that I have is that I am busy. But you all know the truth is that I am actually lazy. Something strange has happened. I kind of lost interest in looking for sleepy scenes. I know it's weird because just a few months ago I was obsessed with it. I still like sleepy stuff, don't get me wrong. It's just that it isn't on the top of my priorities list. One day it'll come back. A consequence of this is that I neglected to search through comics, soooooooo, could I have missed a really good scene? The world may never know. What is this, three weeks without any update? Is that some sort of record? This happens to a lot of sites. The admin will be very enthusiastic initially and then gradually lose interest. It's what happened to my previous blog that I had going for three years. I just suddenly stopped because there was nothing interesting to talk about. So is there anything interesting to talk about? No, not really. I just go about my daily routine: classes, studying, eating crappy food, video games occasionally. I pass the time by doing some juggling, my passion in life. Maybe I'll meet R.E. again, a girl who once made an impact on my life. I've recently just stopped caring about things. If I find something, I'll post it. Peace. Updated the database. Only a few scenes, but the two Empowered scenes are so freaking good I had to show them to you. Enjoy! Uploaded some scans from the old Black Cat series. They are all head KO's. Also uploaded a drugged drink from a comic called "Starfire". Thanks to c3c for these scenes. That's it for now. Is this not the most amazing Batgirl chloroform scene ever?! It is almost Godly. 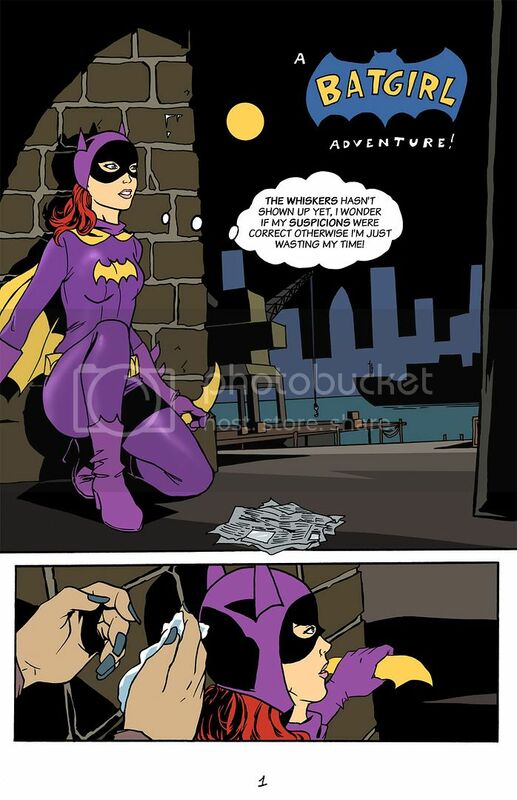 Batgirl was never chloroformed in the comics. I think the scene above is how it could have been done. Seeing that original comic posted really made my day.